We wish all our clients, friends and followers a Merry Christmas and a Happy New Year. We thank you for your trust and support. May 2013 bring you all the felicity and success you expect from it. Thanks everyone for attending our annual Open Office Party. In Wollzelle tradition we served Würstel, Glühwein and good music in an festive atmosphere. We hope that those of you who made it to our office had as much fun as we did. 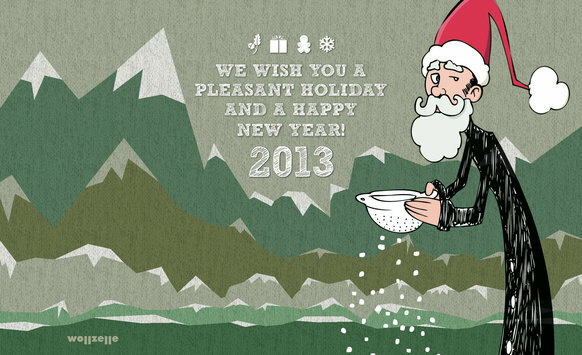 Please note that our office closes on December 24th and reopens on January 6th 2013. We will keep a light on to ensure our servers are all up and running smoothly. 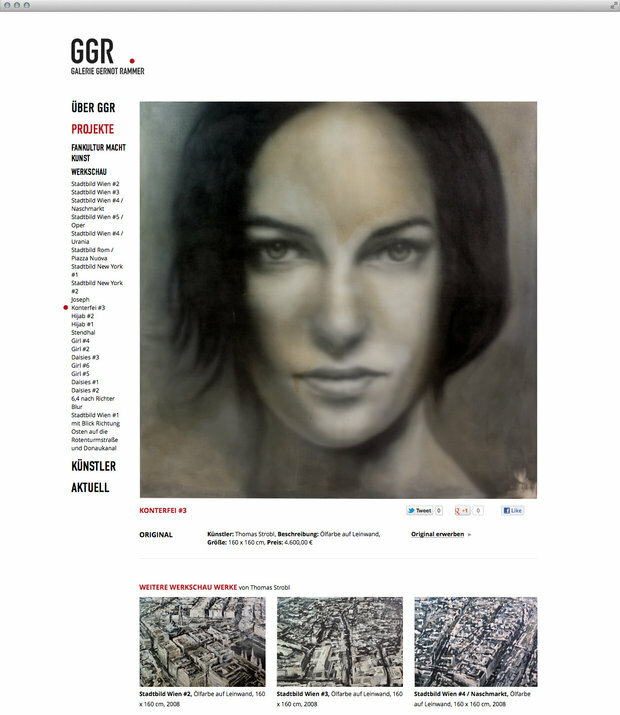 Wollzelle is thrilled to announce it has been chosen by Galerie Gernot Rammer to build its much anticipated online presence. The clean design of this website is accentuated by crisp graphics. Its focus on layout through typography and negative space enables the artwork to shine. Fully integrated e-commerce capabilities allow collectors to seamlessly scrutinise and purchase the works they are interested in. A wide array of supporting materials, such as prints and books, completes the offer. Of course, social features facilitate interactions with the Gallery at every step. 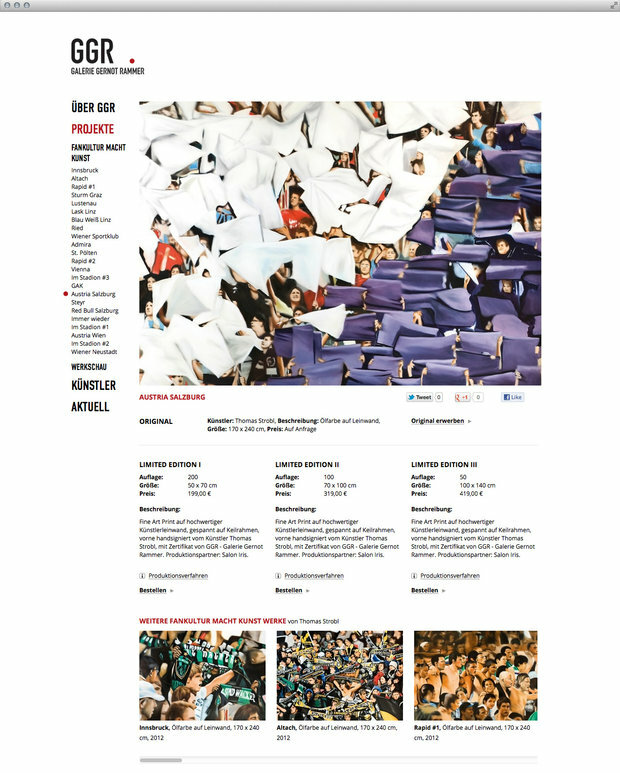 Underneath its glossy and inviting appearance, the site is powered by a full-featured engine that means real business. Inventory management, tracking and statistics, even CRM, have all been custom-built and integrated by Wollzelle right into the platform. 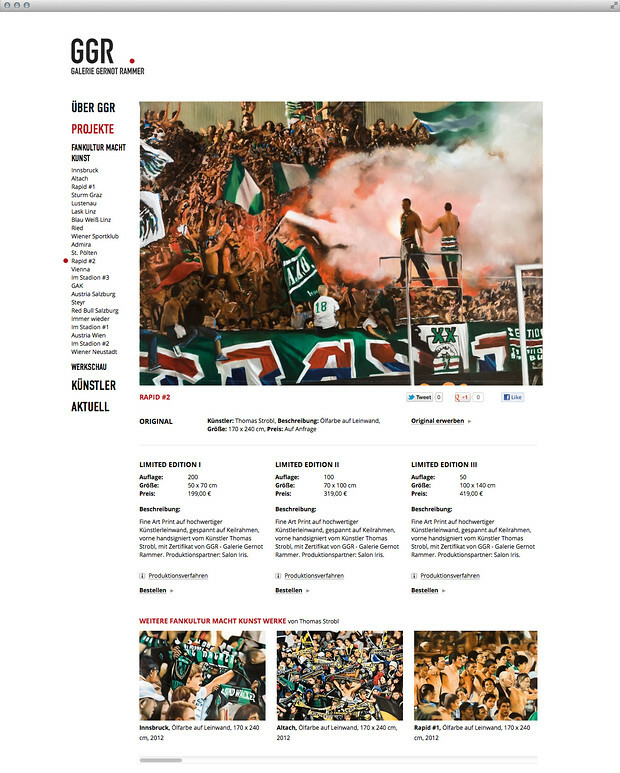 The site will launch with an ambitious project dubbed Fankultur macht Kunst, that explores fan culture in Austria through the complex prism of football. Supported by star players and official organisations alike, the artworks by renowned artist Thomas Strobl offer a unique glimpse into the infectious experience of rooting together for a team. Far away from football cliches, this life-affirming exhibit celebrates sport, social interactions and that very special link that unites us all. 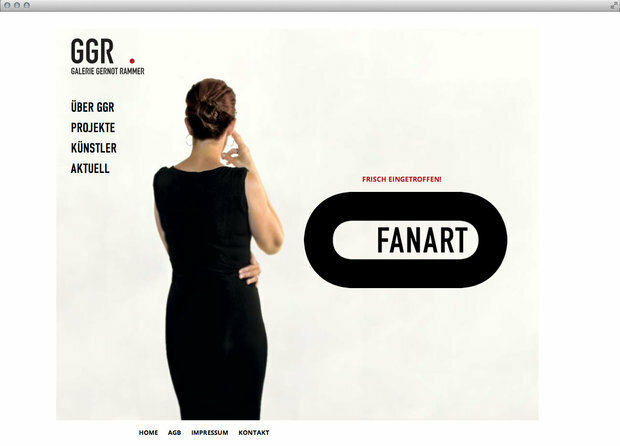 The site will launch with an exciting project dubbed Fankultur macht Kunst. It explores fan culture in Austria through the prism of football, and is supported by star players and official organisations alike. The artworks by renowned artist Thomas Strobl offer a unique glimpse into the infectious experience of rooting together for a team. Be sure to RSVP on Facebook for a chance to participate in the vernissage, taking place on June 6 at 7 PM at the Wiener Sportklub! It’s the perfect event to get in the mood and meet like-minded Art lovers. Back in 2008, some of our clients looked into adding store locators to their sites. We quickly got frustrated with the existing solutions, though, that seemed extremely inefficient and kept asking users for information their browser already knew, resulting in long drop-down menus and complex forms. It was all so terribly old-fashioned, that we set out to develop a unique technology, pulling every modern string, from mapping APIs to geolocation, to smooth and simplify the process. Our technology would have to be fast, flexible and self-sufficient, so that it could be leveraged by any website. The modern web makes it all possible given sufficient time, engineering effort, and focus on design — the very skills we hone for our own web applications. After a few weeks, we had a working prototype, which we have been refining ever since. Today, our technology manages thousands of locations for prestigious clients in all industries, like Luxury Fashion brand or Trodat. Our approach is to keep the process intuitive and to predict the user’s wishes at every step, by using technology to filter out irrelevant options. Because our store locator is a centrally hosted solution, every customer benefits from our ongoing improvements. This enables us to offer features that would be difficult for a lone company to develop, test and deploy on its own. Chief amongst them are touch optimisations for mobile users, transparent conversion between American and metric units, and full support for up to eight languages. Enter Trodat, whom you must know if you have an office or use stamps. 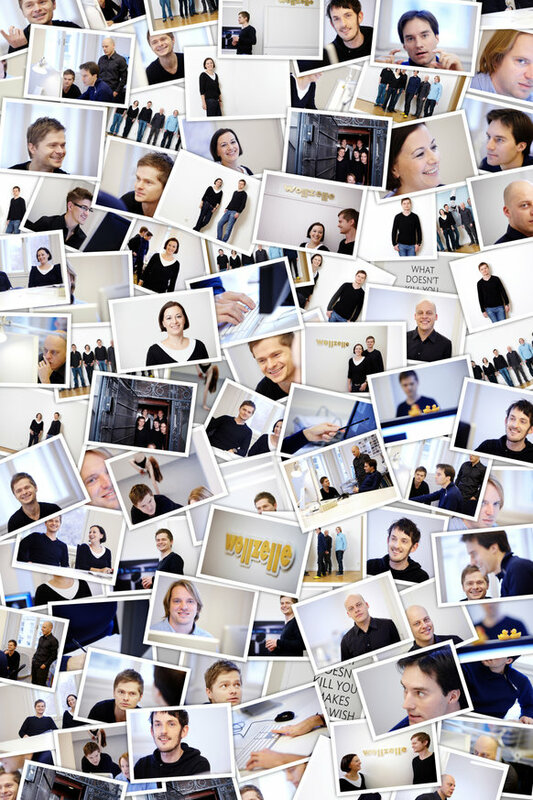 The Trodat group is headquartered in Wels, Austria, and employs over 1100 workers worldwide, manufacturing business essentials from the humble self-inking rubber stamp to laser engraving machines. 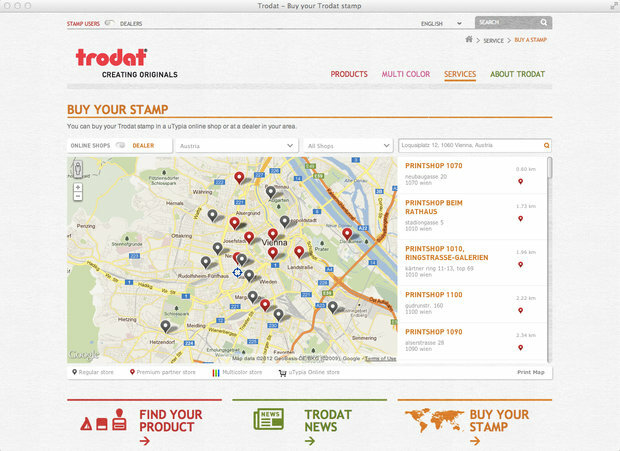 The Trodat website is the latest in line to include a Wollzelle-driven store locator. From the moment the page loads, it has located you and presents a list of your nearby online stores. Indeed, even if it does business online, a nearby store will speak your language and understand your culture. If you would prefer to visit your friendly Trodat dealer, a switch shows you a list of physical locations, still laid out by distance, and neatly arranged on an interactive map. That map is totally customised to blend into the site, from type to colours, and graphically optimised to present data that is relevant to you — the centre, scale, display type, etc. have been preconfigured automatically. Of course, you may be looking up dealers while traveling abroad, or on an older machine that does not support geolocation. When all else fails, we still offer intuitive controls to manually filter locations by type, country or specialty. In a nutshell, that’s how we got Trodat’s stamp of approval. Next time you feel the urge to buy a stamp, you can surf safe in the knowledge we have your back — all around the web. 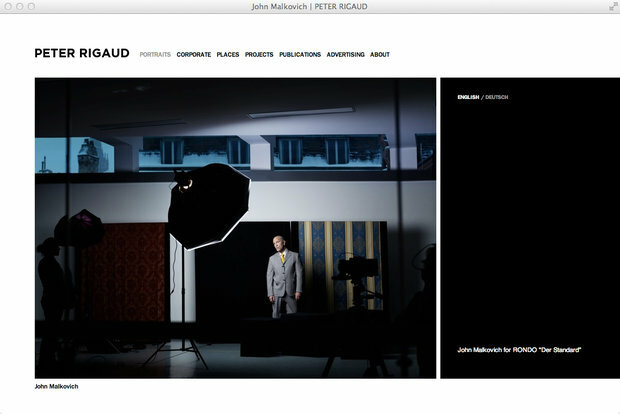 Peter Rigaud, the noted photographer, has been a client of ours for ten years. Over time, we have created, refined and updated his brand and his website, accompanying changes in the Web. We have seen him grow more popular and demand for his work increase over time, but his brand and image have stayed true to their fundamental concepts. This gradual evolution of both medium and content is a rare creative opportunity in our fast-paced industry. Today, we are pleased to announce a new website for Peter, one that takes his clean, simple brand even further by continuing to focus on white space, harmonious typography and straightforward navigation. Peter wanted the site to disappear from view, and to put his photos front and centre, which we achieved by focusing on a tight colour palette, and completely flattening the menus. This new site is the latest step in a slow maturing process that started ten years ago when we designed Peter’s brand and developed his first portfolio. It marks the total removal of any proprietary plugins or legacy CMS, allowing the artist and his team to drive website updates personally, safe in the knowledge their content can be accessed on computers, laptops and smartphones. Fluxiom ensures the photos always look their best, sharp and properly resized. This allows Peter to present his work in new and better ways, that rival professional print layouts. It also means the site is backed by a redundant CDN, ensuring images display quickly and reliably, wherever users are located. 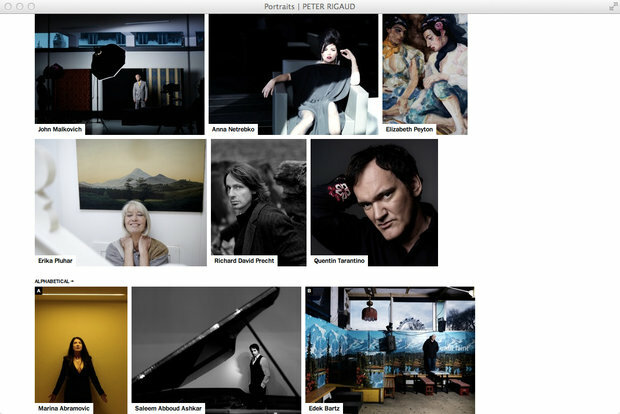 The new website also introduces a news section, featuring recent shots, and allows visitors to look up images by face and place, which magazine editors on a deadline will no doubt appreciate. 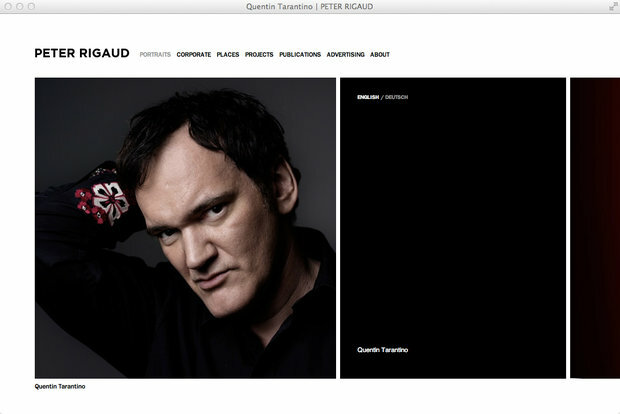 Artistic projects, such as « Please photograph … for me » also feature prominently, reminding us all that Peter’s brand and body of work go beyond the commercial. We hope you enjoy discovering Peter’s website as much as we love working with him! 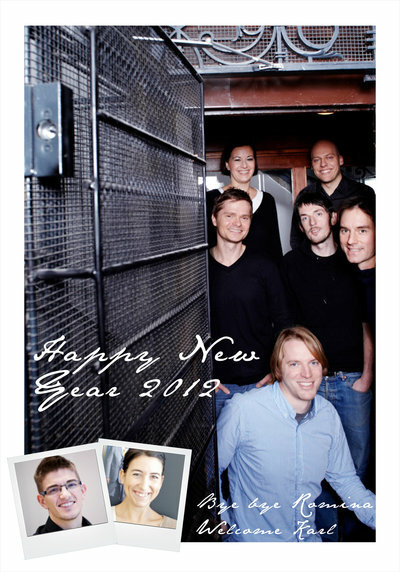 On behalf of the whole “band” and myself: Have a wonderful new year 2012!